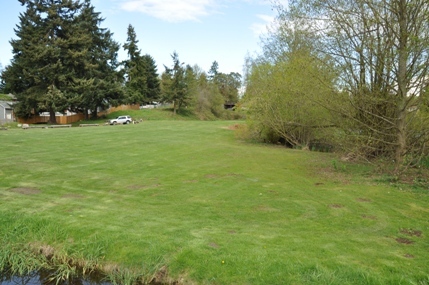 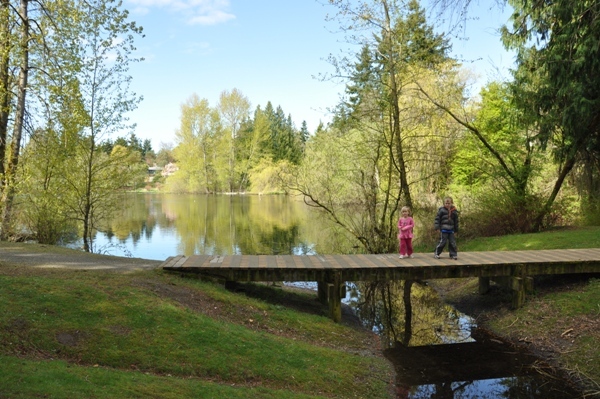 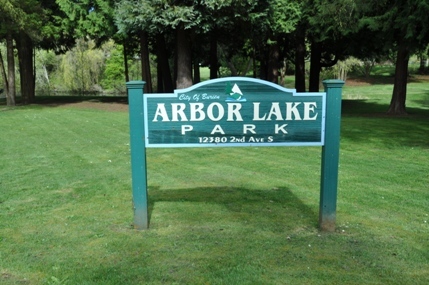 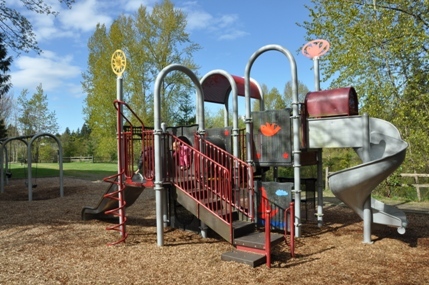 Arbor Lake Park in Burien is very inviting from the road as you pass through. 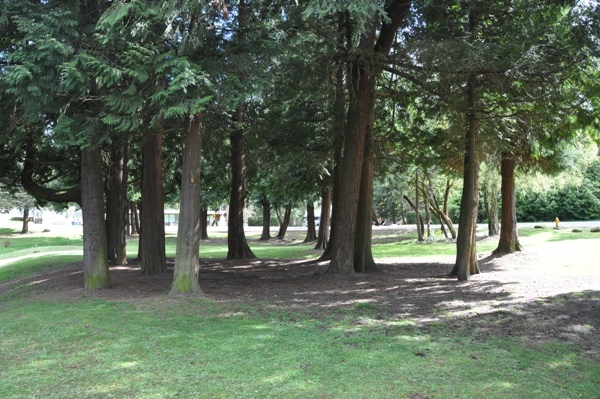 Because the park is off a side street, few people actually pass by keeping the park a bit of a secret. 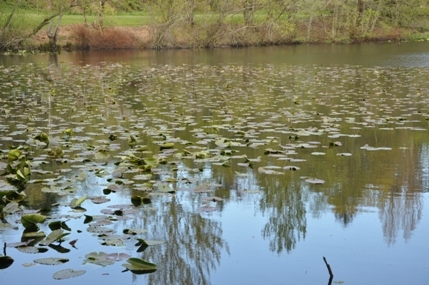 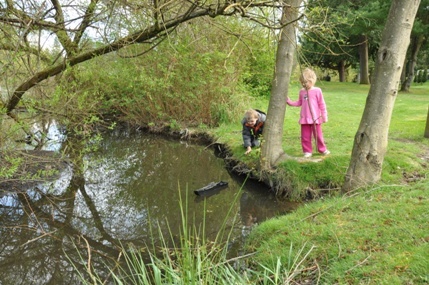 Although the park is small, the lake makes it feel like much more. 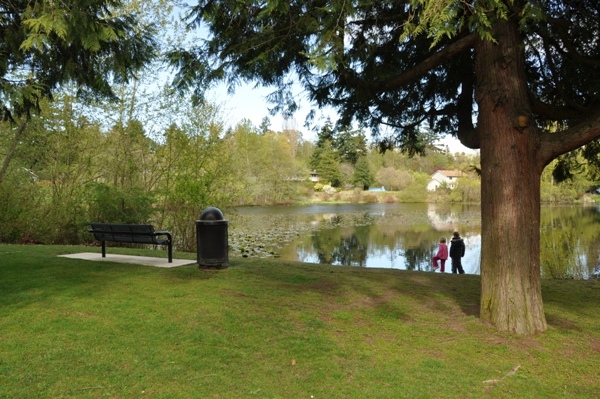 The scenery and large cedar trees are really nice for such an urban setting. 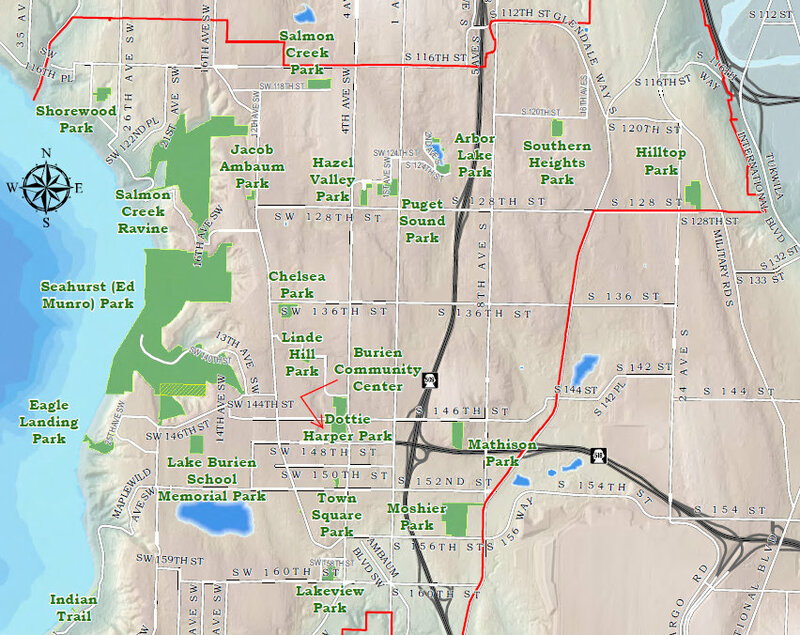 Some maps show the park circling the lake but it looked like half the lakeshore was on private property. 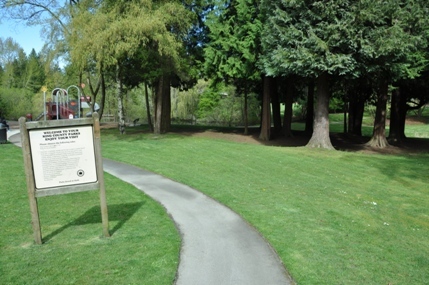 Walking the western shoreline has a trail to parking at both ends. 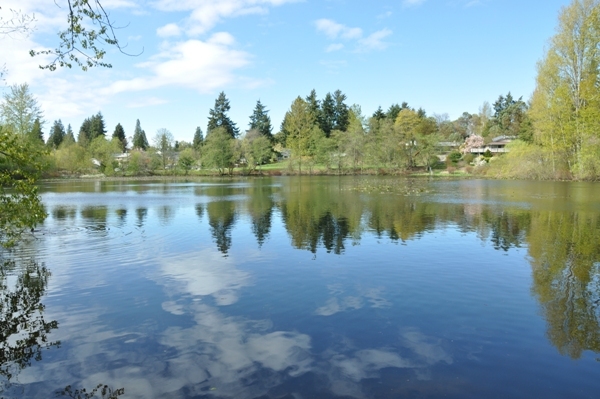 Apparently the lake is stocked with fish as well.